For more than a decade, Australia’s education performance has been declining on the world stage. As a nation, we pride ourselves on our sporting excellence while academic achievements are often overlooked. For the first time ever, children have gathered from across the country in a contest to find Australia’s brightest child – Child Genius on SBS. 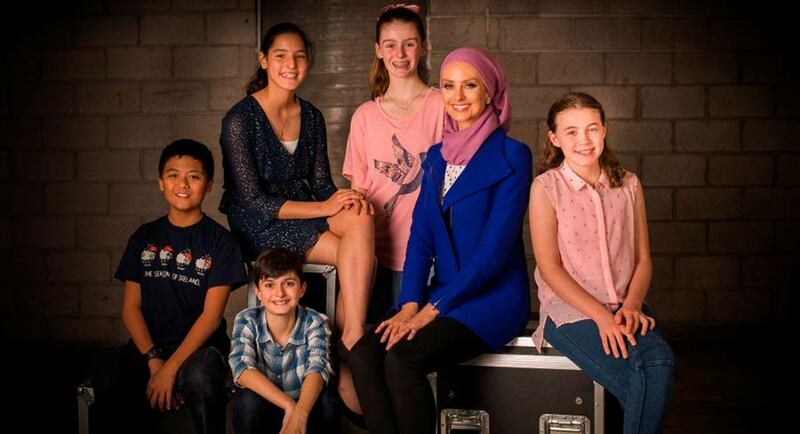 Presided over by quizmaster, Dr Susan Carland, and presented in association with Australian Mensa, this new six-part series brings together Australia’s brightest kids from all over Australia as they undergo a string of challenging quizzes that would stump even the smartest adults. These gifted children all have very high IQs and showcase phenomenal cognitive abilities in maths, general knowledge, memory and language. • Seven-year-old James is the youngest competitor. He is exceptionally gifted with an IQ score in the 0.0001% of the population. His parents Tammy and David made the decision to home school him after he struggled to fit into mainstream education. • Nathan, who is 12 years old, has been entered into Child Genius by his mum Leanne in the hope that he will make new friends. Nathan has found connecting with children his own age difficult as they don’t enjoy talking about maths and astronomy as much as he does, but he and James quickly bond over their love of cubing. • Single father Kevin entered his 10-year-old daughter Regina in the competition because he wanted to broaden her horizons beyond their life in country Victoria. Regina was accepted into Mensa at just three years old, and she and Kevin are a tight-knit team as her mum died of cancer shortly before Regina’s first birthday. Kevin believes intelligence is inherited and is determined to make sure Regina is given every opportunity to make the most of her bright mind. The competition runs over six days, with an episode covering each day. Every day the children take part in two rounds and are tested on subjects including science, maths, spelling, history and future technology. At the end of every day the lowest scoring competitors leave the competition, with the top five taking part in a Grand Final on Day Six to discover… who will be crowned Child Genius Australia 2018? Six-part series Child Genius will air over two weeks in November – Monday 12, Tuesday 13 and Wednesday 14 and Monday 19, Tuesday 20 and Wednesday 21 November at 7:30pm on SBS. The series is being made for SBS by Warner Bros International Television Production – Australia.